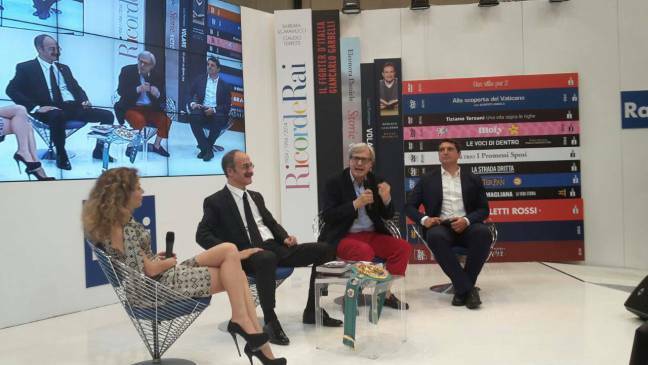 … what an event, what love and affection last Saturday, May 16th on the RAI ERI stage at the International Book Forum of Turin! Luigi De Siervo, CEO of RAICOM-ERI, was a perfect host who has truly believed in this project, in this rich book of mine and for this faith he has all my thanks and esteem. We exchanged many thoughts, intense words, true and heart felt stories with Mario Sturla, number one in sports medicine and doctor at the best international ring sides, delegated to this event by the WBC- World Boxing Council. It moved me deeply to receive the World Boxing Champion Belt ad honerem causa on behalf of my Great Dad, Giancarlo Garbelli The WBC Belt, sent especially for this occasion all the way from Mexico City, is hand made in green leather, inscribed with the flags of the 181 Nations that make up the World Boxing Council, along with two photos of Giancarlo Garbelli between those of the WBC President for life Josè Sulàiman, Muhammed Ali and Joe Louis on the belt that ties the buckle and is autographed on the back by the WBC President himself. Mario Sturla tied the Belt around my waist. 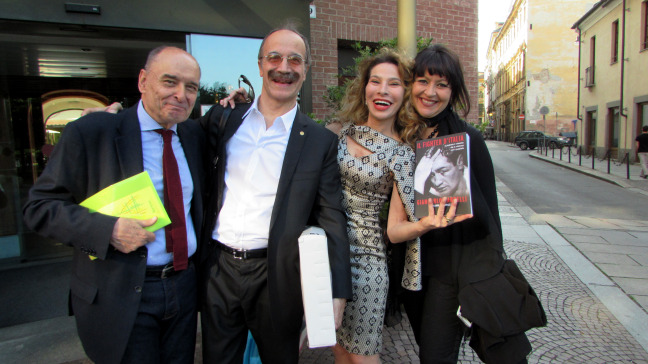 What an honor for me, daughter of Giancarlo Garbelli…! Then everyone started taking photos, selfies, everyone wanted to share that magical moment. Vittorio Sgarbi, our best representative of Italian culture, had words of great respect, of friendship and of honor for the Great Champion. I, in choosing to invite Sgarbi to this event, wanted to acknowledge in him the Champion of our Italian culture in words. Vittorio was astonished by the richness of the book and by my having honored my father so well this way with this great act of love… and he said as much and so much more to the numerous and greatly interested crowd present and even went so far as mentioning my book in his following conference. So many were the anecdotes for Giancarlo Garbelli the Greatest Champion that Italy has ever had! 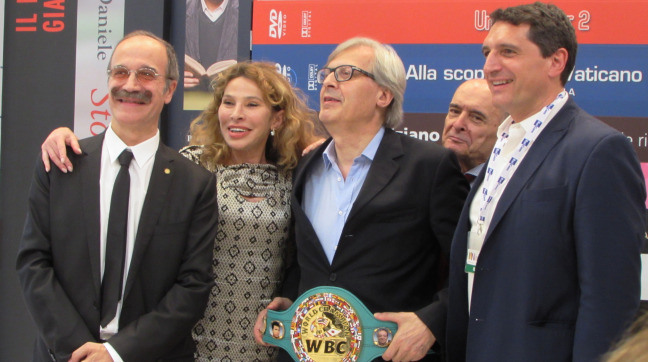 Thank you RAI ERI, Thank you WBC, Thank you Vittorio Sgarbi. At the end, there were lots of people who wanted me to sign the first copies of the book… what a lovely responsibility.